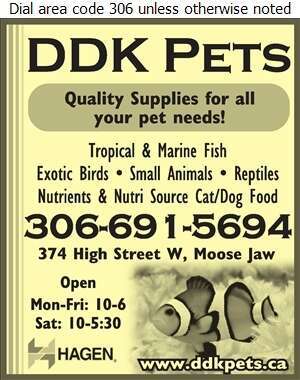 DDK Pets N Points is a full line pet shop stocking both animals and supplies. DDK Pets specializes in marine and tropical fish and have many marine habitats for you to envision what you can build in your own home. They carry quality brands of food so you know your pet will be taken care of and have a wide variety of toys and treats to give your pet hours of fun. Stop in today!